The release of a proposed new spatial plan for the Hauraki Gulf on December 06 has been largely welcomed by New Zealand’s Environment, Primary Industries and Conservation Ministers. 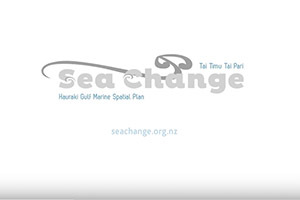 The Sea Change/Tai Timu Tai Pari marine spatial plan, which proposes fourteen new marine protected areas, is the result of three years’ work by the Sea Change group. Representing mana whenua, councils, local conservationists, businesses, recreational fishers and the Government, the plan seeks to restore a healthy, productive and sustainable future for the Hauraki Gulf. According to Environment Minister Dr Nick Smith, talks are planned for early 2017 to discuss next steps for the Sea Change proposal. “The Government will establish a process to formally consider the plan prior to developing and consulting on recommendations on how to implement it”, he said. The Spatial Planning document has been described by Primary Industries Minister Nathan Guy as an aspirational, non-binding and non-statutory document. “It will be particularly important to weigh up recommendations that could impact the rights and interests of stakeholders and industry. This is a shared fishery of great importance to recreational, commercial and customary fishers”, he cautioned. Conservation Minister Maggie Barry noted her support for the plan, describing it as a comprehensive response to the environmental challenges faced by the Haruaki Gulf, and a significant first step toward restoring a healthy and abundant marine environment. “The plan sets a platform for positive change in the marine environment and the Government will give it full consideration”, she said.